Bane. Mad Max. Charles Bronson. Mother Goose? Tom Hardy is mostly known for playing anti-social, bloodthirsty monsters. With his rich British accent and hulking physique, Hardy is an indomitable and unsuspecting screen presence known for tapping into the rawest parts of the human psyche. His voice synonymous with the eloquent ravings of a madman; his actions, the missing link between the modern and primordial man. So it should come as no surprise that Tom Hardy reading a bedtime story about a party that requires guests wear a hat sounds like he’s reading a malevolent riddle to the good people of Gotham City. Appearing on the BBC’s CBeeBies BedTime Story on New Years Eve, Hardy chilled on a couch — golden retriever on his lap, giant stuffed monkey to his side — to read You Must Bring a Hat, a darling children’s book by Simon Philip and Kate Hindly. The story of a young man who was invited to a party with a very specific set of instructions, You Must Bring a Hat, as read by Tom Hardy, sounds like something Charles Bronson says before he beats someone in prison. Anyway, check out the video, close your eyes, and imagine Mad Max muttering this story under his breath. 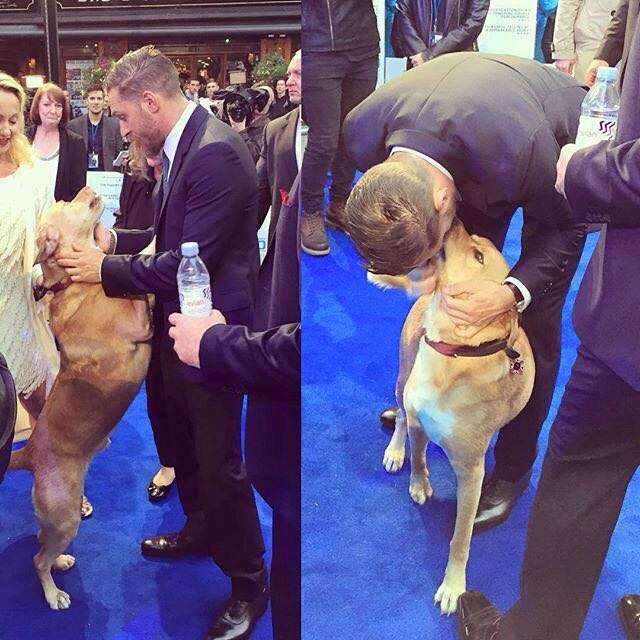 Tom Hardy's dog Woody is the real star. 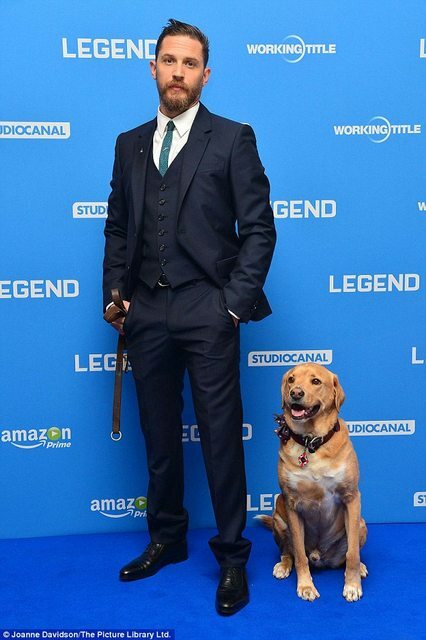 After arriving on the red carpet at London's Leicester Square for the premiere of his film Legend, Tom showed off his best bud—an adorable mutt named Woody. The star was also joined by his wife Charlotte Riley, who is expecting a child. But all eyes were on Woody. 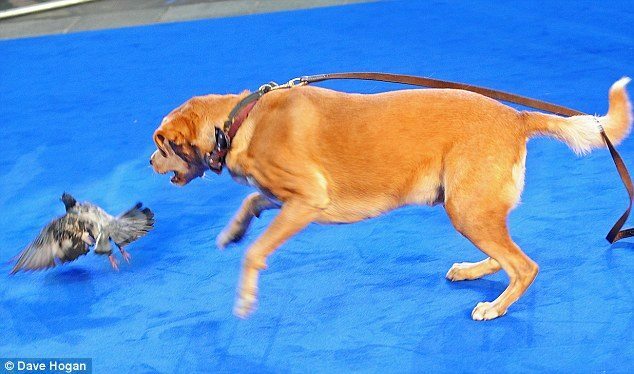 The lovable pooch even took his chance in the spotlight to show off his bird-chasing skills. Just how long until Woody makes an appearance in one of Hardy's epic dub smashes? The public needs to know.